The Fullerton Food Pantry is a nonprofit organization that serves our neighbors who are in need of some help. Our help may be temporary or it may be a resource used to help stretch a household income. For whatever reason we are here for those facing a challenging situation. The following are questions frequently asked. What area do we serve? We serve the Fullerton/Belgrade area, however, will serve everyone, but then refer you to your nearest food pantry for the next time. What do you need to do to use the pantry? ​You will have to complete a short application form with current address, phone number and people in your household and show a form of identification the first time you come. All information will be kept confidential. 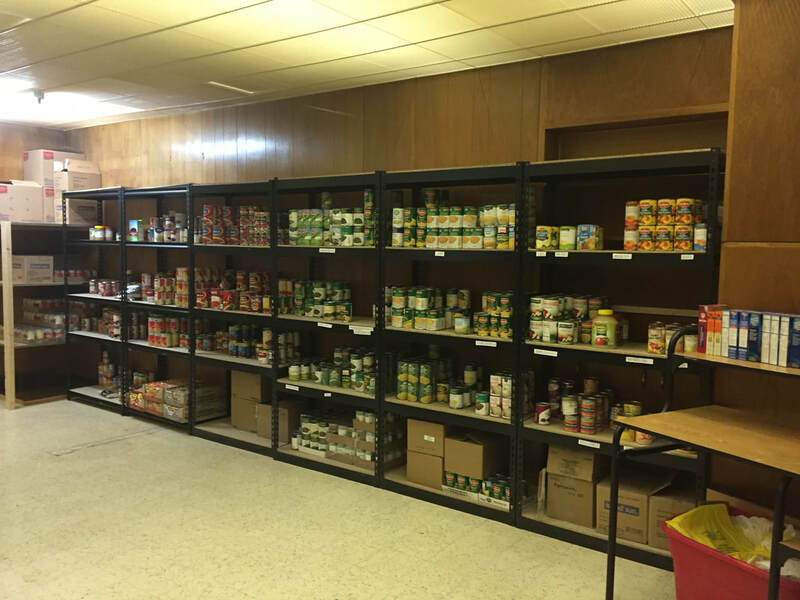 What does the food pantry offer? We use the "Client Choice" model in our pantry. This model allows clients to come into the pantry and choose a specified number of food items from each food category (proteins, grains, fruits and vegetables) based on number in household. A voucher for milk, cheese, eggs, and bread will be given each month. They may use the voucher at our local grocery store. These vouchers will continue as long as funds are available. What if the weather is bad or a holiday? For the safety of clients and volunteers the pantry will be closed when weather is bad and will open the following Wednesday of that month. If it is a holiday we will also open the following Wednesday. 1. If you like to carry out groceries with boxes please bring your own as we have limited storage. Bags will be provided or you may bring your own. 2. Our building is a non-smoking facility. 3. We work hard to have ample amount of food, but can only offer what we have because we rely on donations. 4. Many other social services are available and we will post them on our bulletin board.